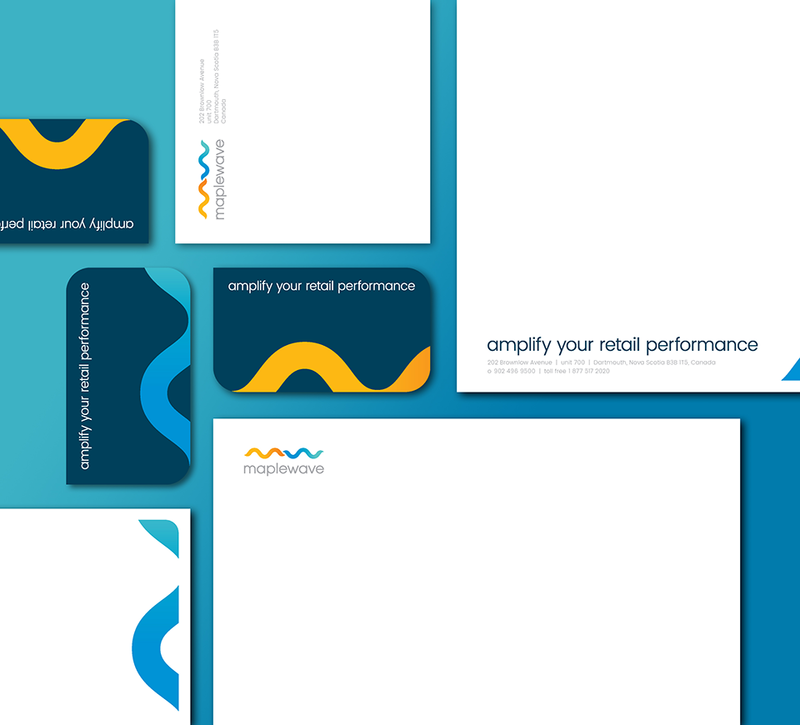 To support the reinvention of Maplewave (formerly known as Master Merchant Systems), Shikatani Lacroix led a process with Maplewave’s leadership group to help develop a new name, logo, website, and cohesive brand experience across all collateral material. Master Merchant Systems (MMS) was founded in 1988 and is headquartered in Dartmouth, Nova Scotia. Now operating in over 40 countries, the company specializes in software and retail optimization services for the telecommunications industry. 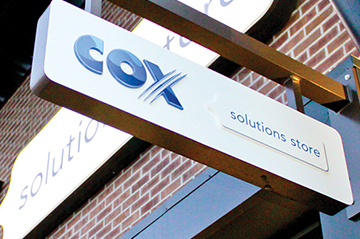 To improve visibility in the competitive telecommunications market, the company retained Shikatani Lacroix to help create a compelling position and brand identity. As the telecommunications industry continues to shift and become more competitive, MMS was looking to gain recognition and awareness within the industry and among customers. While a lot of the company’s business had previously come through partners and networks, their goal was to grow their customer base organically, and create an alignment between the customer journey and sales process. By highlighting their reputation and expertise, the company also hoped they would be able to attract top talent and streamline their internal structure. To begin the re-brand of MMS, Shikatani Lacroix conducted extensive research to help identify potential insights and guide the direction of the project. The process began with interviews of management and customers, followed by an analysis of the company, competitive landscape, industry trends and implications. The first component of the re-branding process was to choose a new name for MMS. While the name Master Merchant Systems served the company well in its early years, it no longer spoke to the direction they wanted to go. 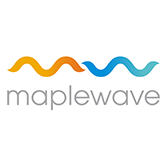 After numerous brainstorming sessions, the name Maplewave emerged, as it represents both the company’s roots and values, as well as their focus on staying ahead of the competition. 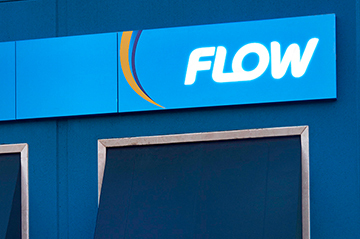 The lowercase sans serif wordmark included in the logo is a modern and progressive alternative when compared to competitor logos, while the stylized “M” and “W” waves provide a recognizable symbol for the company. 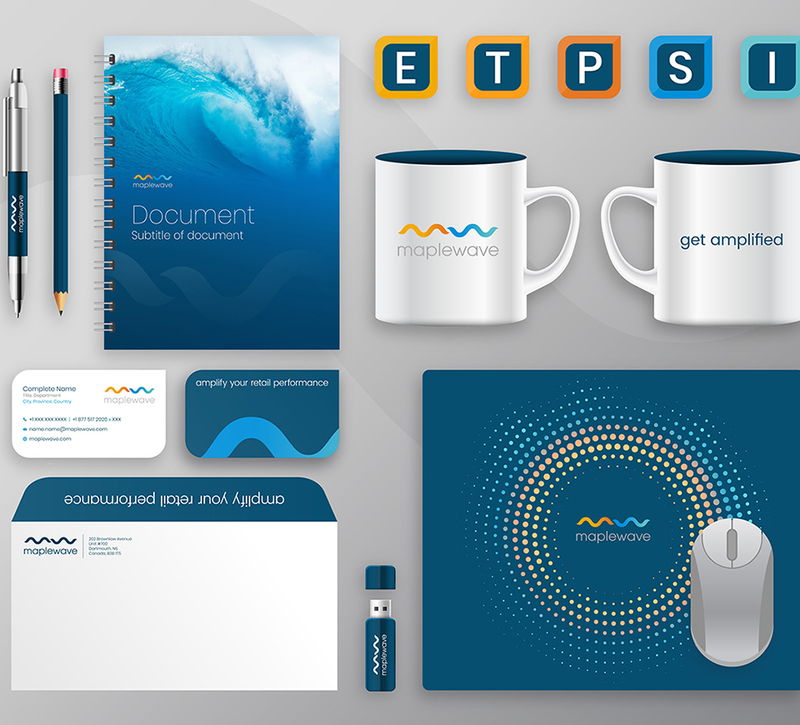 The waves can also be used to create patterns or graphic details, and can be colored to differentiate product or service offerings. 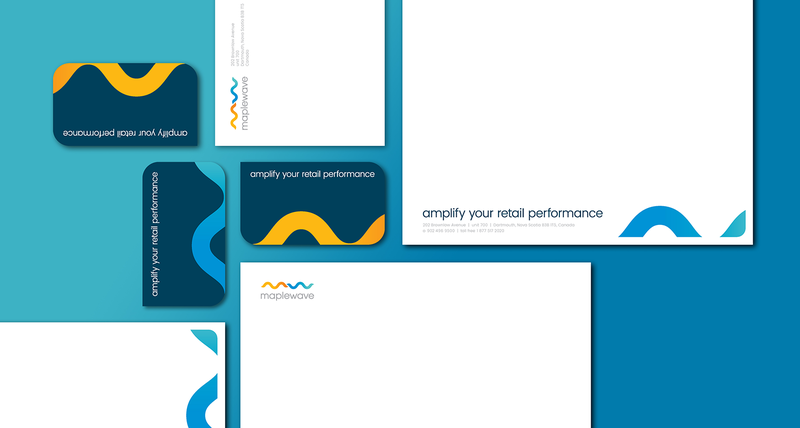 The colors were chosen to embody the two key offerings of Maplewave’s consulting and support products. With the yellow and orange gradient, the colors represent a collaborative, approachable team of professionals. 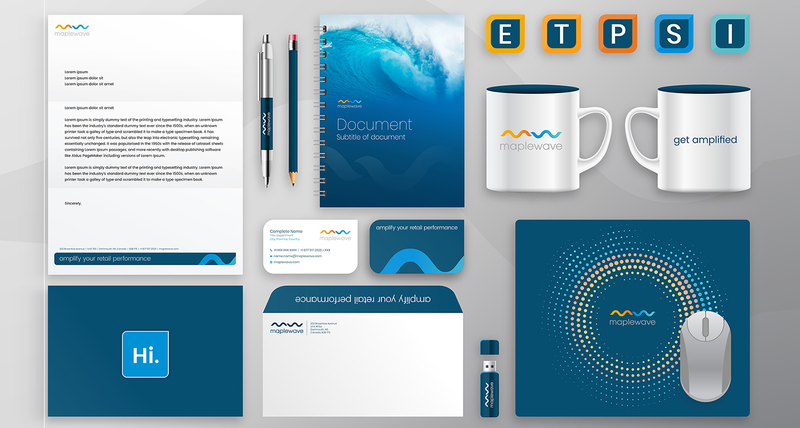 The blue to teal gradient represents the products that Maplewave offer and the technology behind them. 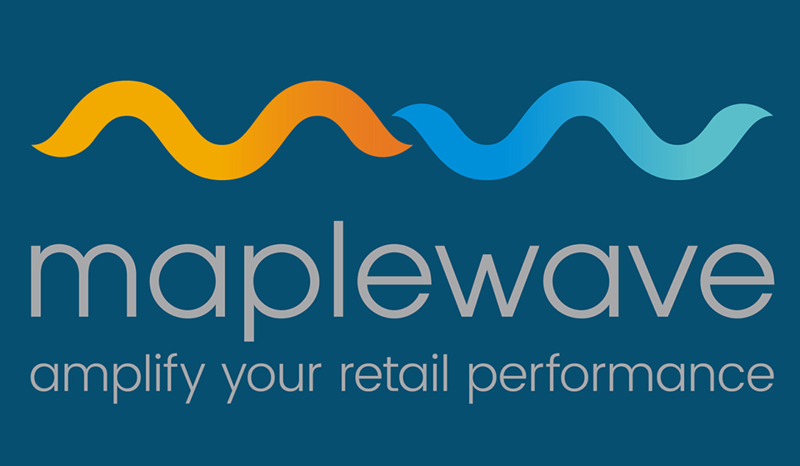 Maplewave’s new tagline, “Amplify your retail performance,” aims to highlight the services and benefits that customers can expect from the company. 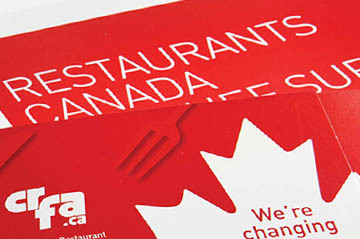 It has the ability to be incorporated into the new logo, and stand alone as a slogan for the company. 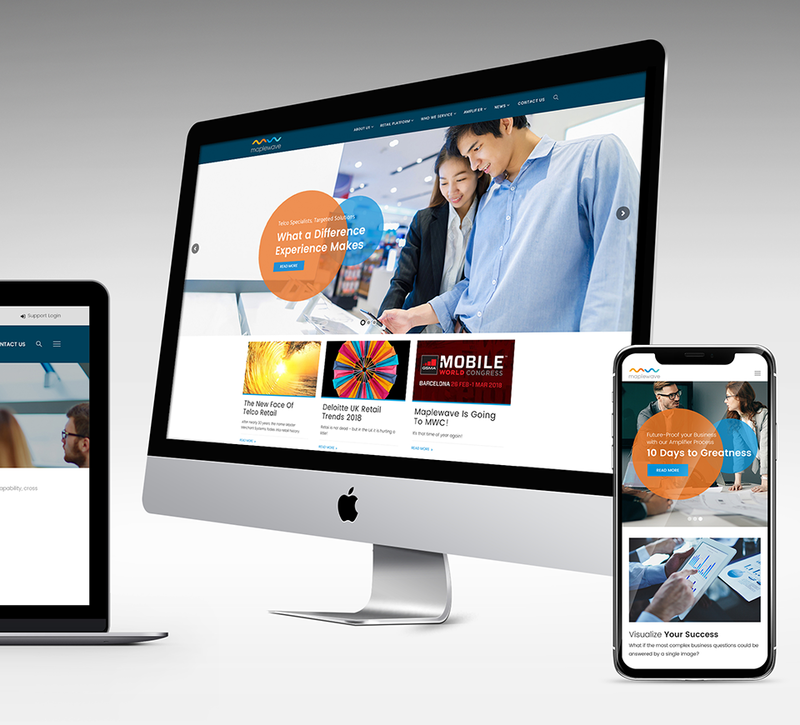 The new, mobile-friendly, website has a clean and modern design that showcases Maplewave’s story, products and services in an engaging manner. 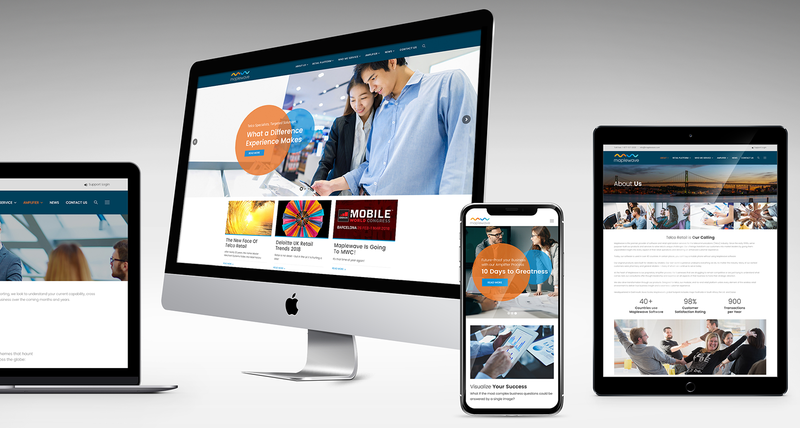 Designed to be intuitive and professional, the website is built upon a flexible CMS (content management system) with a marketing platform that allows the Maplewave team to easily make content changes and updates. 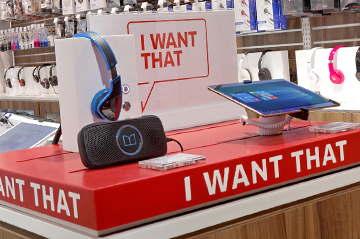 A complete social media strategy and template was also created to help connect Maplewave with existing and prospective customers along their entire digital path to purchase.